A mustache isn’t a mustache without a parrot attached to it! Set the record straight with this whimsical and witty pendant. 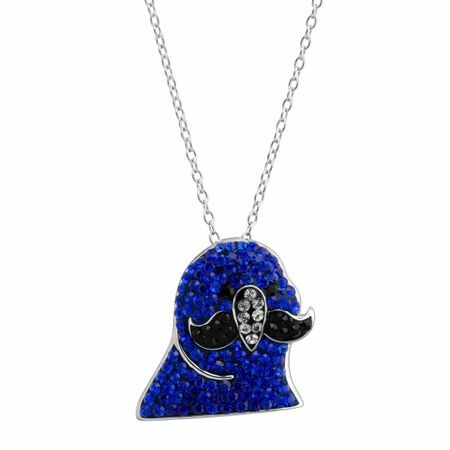 Featuring an adorable blue Swarovski crystal parrot with a handsome black mustache to match! Also makes a great gift for the bird lover in your life–light up their day with a friendly accessory piece. Piece measures 3/4 by 11/16 inches. Comes with a sterling silver 16-inch cable chain, plus a 2-inch extender for adjustable length, and features a spring ring clasp.